Leonardo da Vinci is probably most known for his famous paintings of the Mona Lisa and The Last Supper. But painting is only one of his many amazing abilities. Born in 1452, Leonardo was a polymathic person skilled in painting, sculpture, architecture, music, science, math, engineering, anatomy, geology, cartography, botany and writing. 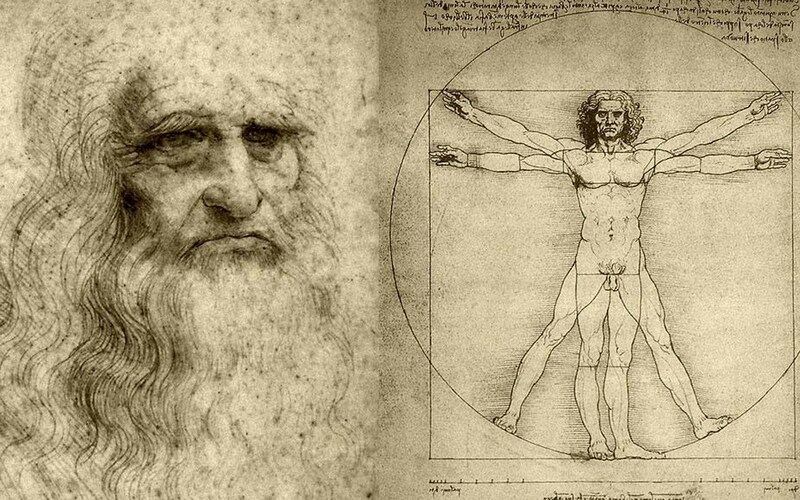 Leonardo has often been described as the archetype of the Renaissance Man. Most people of the dark ages were very superstitious unlike Leonardo whose vision of the world was essentially logical, and the empirical methods he used were unheard of in his time. He is credited with first conceptualizing a helicopter, a tank, concentrated solar power, a calculator, the double hull, and outlined a rudimentary theory of plate tectonics. As a scientist, he made important discoveries in anatomy, civil engineering, optics, and hydrodynamics. As an inventor he invented the first automated bobbin winder and a machine for testing the tensile strength of wire. These are just a few of his remarkable achievements during his life.